Recently I've gotten myself a new bedmate... She's none other than my baby sister. 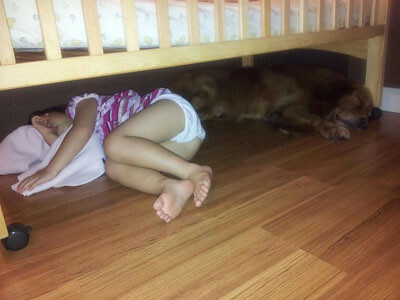 For some strange reason, she'd rather sleep on the floor under her bed with me than to sleep ON the bed. In case you can't see me, I've pointed myself out for you. 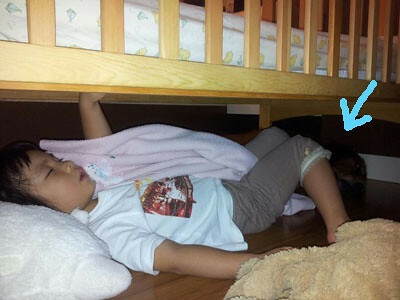 And even when I was settling myself down on the other side of the room, she'd make my M ask me to join her under the bed. So now I have to share my sleeping space with her. 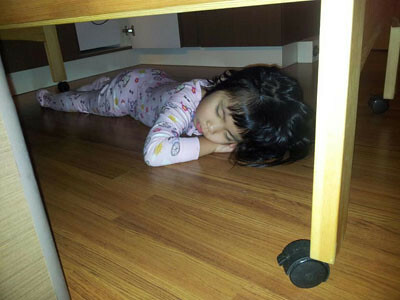 Luckily, there's a lot of floor space... Aunty V said that maybe I should sleep ON the bed instead. I think that's a good idea, you think my M will let me sleep on the bed and my baby sister sleep under the bed?